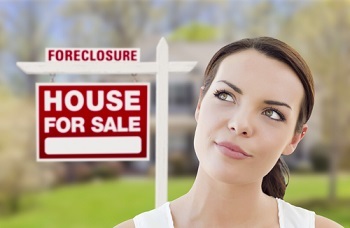 Foreclosed homes come on the market after the owner fails to pay off an outstanding debt. Due to changes in the economy, more of these homes are coming onto the market. A foreclosure home is a good way to pick up a home at below market value. A foreclosure is the process of a a homeowner's right to a property being forfeited due to failure to make payments towards their mortgage. If the outstanding debt can not be paid or sold via a short sale, the property will then be sent to a foreclosure auction. If the home does not sell at auction, it will then become property of the lending institution. What are the 5 stages of a foreclosure? Stage 1: Preforeclosure - The first stage of foreclosure happens when a borrower (the home owner) fails to make timely mortgage payments. This can happen for many reasons including unemployment, divorce. medical issues or other hardships. During this stage, the borrower will likely receive phone calls and letters trying to work out a plan to recover the missing payments. Interest and late fees are often accrued during this time frame, making it more difficult to stop the foreclosure later on. Stage 2: Law suit - After payments have been missed for anywhere from three to six months, the lender (mortgage company) will record a public notice with the County Recorder's Office to indicate there has a been a default on the mortgage, known as the lis pendis. Owners have a set amount of time, generally 30 days, to respond and a hearing is set with the county courthouse. Stage 3: Notice of Sale - The next step is when a Notice of Sale is filed. The mortgage company must notify the homeowner of the sale by delivering the Notice of Sale. In addition, the mortgage company must publish public notice in the local newspaper (Albuquerque Journal Legals or Rio Rancho Observer, for example) for a minimum of four consecutive weeks. Stage 4: Auction - If at this point the default has not been rectified by the deadline, the home will be sold during a foreclosure auction. The owner will receive a special master's deed or proof of ownership, allowing them to take possession of the home once the homeowner's redemption period expires (normally 30 days, however in the state of New Mexico this can be up to nine months). In the state of New Mexico, the homeowner is entitled to a redemption period that will allow them to redeem the property. This redemption period allows the homeowner to pay the unpaid loan plus costs, taxes and interest. This is the last available chance to save your home. At the auction, the home is sold to the highest bidder for a cash payment. Lenders will not accept a mortgage during an auction, making the pool of buyers much smaller. It is most often the mortgage company that purchases the home. Stage 5: Eviction of homeowner and Deficiency Judgement - At this point, there is no saving the home. The homeowner must vacate the premises. In the State of New Mexico, lenders may pursue you for any losses they may have incurred during the foreclosure process. This Deficiency Judgement can be filed for the original loan amount plus all interest, late fees, and legal costs and the amount the finally sell the property at REO sale.